I'm a big fan of honey. It's a natural way to add a little sweetness to your life, without the worry of chemicals or additives. I often add a little honey to my smoothies for a little “pick me up”. My love for honey doesn't stop there, though — I use it in some of my skin care products! Humectants serve three major purposes in cosmetics — they help moisturize, absorb moisture from the environment, and pull moisture in. Skin that is rich in humectants generally have reduced appearance of wrinkling. Mineral Oil is often used as a humectant, however, it can build up under the skin causing the skin's natural absorption of vitamins and nutrients to be disrupted, and can serve to be counterproductive in the long run. Since honey is a natural humectant (I recommend using locally sourced, raw honey), it can be used without the fear of causing long-term moisture issues. Antioxidants are known for their ability to protect environmental stressors that are responsible for aging. Honey is rich in Vitamin C and manganese. 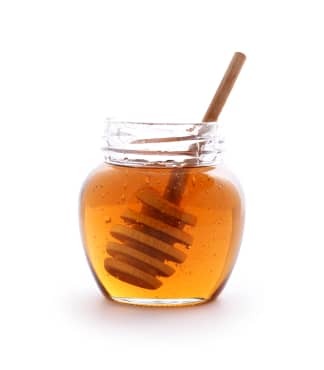 While honey is a great source of antioxidants (whether applied topically or taken internally) I also recommend a diet otherwise high in antioxidants. Honey is naturally cleansing making it a gentle way to help improve the look of your skin. I love honey so much, I've used it in my coconut honey mask, and honey powder in my ayurvedic facial scrub. Rich in nutrients and moisture, this will definitely help heal and treat any dry skin on your body without harmful mineral oil or unnatural preservatives.